Claims that a gravitational wave tsunami swept the universe from the Big Bang have turned to dust ... interstellar dust. Last September, the smart money was already backing the idea that the signal didn't come from the early universe and, on Friday, scientists agreed that the "gravitational waves remain elusive." No conclusive evidence could be found to support what many had hoped was a breakthrough discovery in March 2014, after a team of astrophysicists reported a sighting of gravitational waves – formed in the first trillionth of a trillionth of a trillionth of a second after the universe as we know it blinked into existence about 13.8 billion years ago. The European Space Agency brought that claim back down to Earth yesterday, however. It said that a joint analysis of data from ESA's Planck satellite and the gorund-based BICEP2 and Keck Array experiments showed that the origin of the signal had not been detected after all. 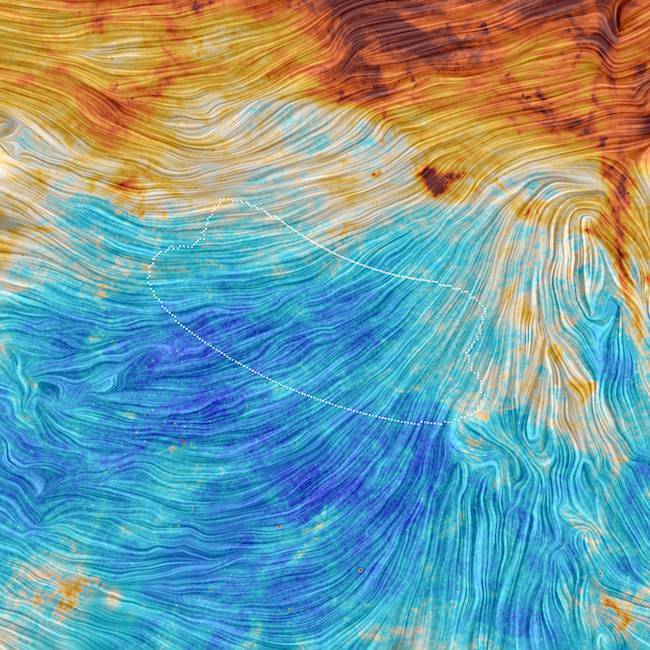 This pic shows dust emission from the Small Magellanic Cloud, a satellite galaxy of the Milky Way. “Searching for this unique record of the very early Universe is as difficult as it is exciting, since this subtle signal is hidden in the polarisation of the CMB [Cosmic Microwave Background – the legacy of light emitted only 380,000 years after the Big Bang], which itself only represents a feeble few per cent of the total light,” said Jan Tauber, ESA project science for Planck.